Peter Eisenman was a notable American architect, renowned for his radical designs and architectural theories. He is widely regarded as a deconstructivist. Peter Eisenman was born on August 12, 1932, in Newark, New Jersey. He attended the Cornell University, and graduated in 1955. He then attended the Columbia University, New York for his master’s degree, which he received in 1960. Following that, he moved to London and attended the University of Cambridge, receiving his master’s degree in 1962, and his post-doctoral degree in 1963. Upon the completion of his education, Eisenman returned to New York, and in 1967, he laid down the foundation of the prestigious Institute for Architecture and Urban Studies in New York City. In 1973, he launched the Institute’s magazine, Oppositions, and served as its editor until 1982. The magazine was regarded as the most prominent and influential journal of the architectural world. Eisenman earned the reputation of an eminent theoretician of architecture, and he has served academic posts at various prestigious institutions including the University of Cambridge, Princeton University, Yale University, Harvard University, the Ohio State University, and Cooper Union in New York City. Eisenman believed that the traditional parameters of construction held little meaning, whereas the true elements of architecture lied in the conceptual form, which he proposed, can only be represented through diagrams and sketches, rather than the constructions process. His designs represented a fusion of arts, philosophy and linguistics, his work was significantly influenced by the philosophies of Jacques Derrida and Friedrich Nietzsche, along with the linguist Noam Chomsky. Eisenman constructed a postmodernist and poststructuralist approach, which is now attributed as his deconstructionism. During the late 60s and early 70s, Eisenman’s designs began to take form in the construction of numerous houses including the House I in Princeton, New Jersey, House II in Hardwick, Vermont, and House VI in Cornwall, Connecticut. These houses were a result of Eisenman’s experimentation with Modernism rigid geometry and rectangular plans, however, Eisenman added his own theoretical touch by designing never-ending stairways, and columns that served no particular purpose in the structure. Through these developments, Eisenmen negated the Functionalist concept of Modernism. These structures marked his early success, and firmly established his position as a prominent architect. He was included in the prestigious club, “New York Five”, which included future postmodernists, Michael Graves and Richard Meier. In 1980, Eisenman founded his own professional practice in New York, and began developing methods using disconcerting forms, angles and materials. During the 80s and 90s, he was commissioned on a number of significant projects including the Wexner Center for the Arts at the Ohio State University in Columbus, the Greater Columbus Convention Center, Ohio, and the Aronoff Center for Design and Art at the University of Cincinnati (Ohio). Eisenman’s creative sense and architectural abilities were recognized by the Academy of Arts and Letters, and in 1984, he was presented the Arnold W. Brunner memorial award. 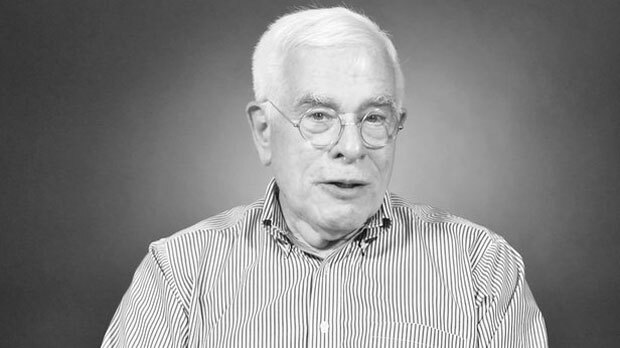 Peter Eisenman has made several literary contributions which have played a significant role in the evolution of architectural techniques. Some of his highly acclaimed and widely discussed works include the “Diagram Diaries”, “Eisenman Inside Out: Selected Writings”, “Peter Eisenman: Barefoot on White-Hot Walls” and “Written into the Void: Selected Writings” among others.